$$ REDUCED $$ Lowest Priced Lot, ''Fantastic Home Site'', the perfect place to build your dream home. 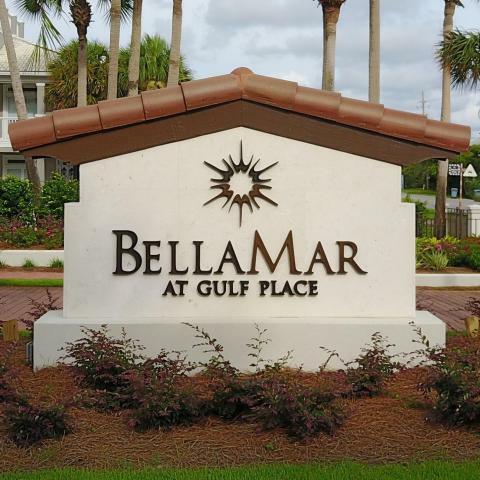 Gulf Place boast some of the highest elevations around and no Short Term Rental in thi Beautiful 110 home Beach Community, BellaMar has four dedicated Beach Accesses and Nature Trails throughout.Santa Rosa Beach Club is across 30-A, Great Food, Views and Golf. The Town Center at Gulf Place has shopping, art galleries and restaurants. Close to Grand Blvd, Baytowne Wharf, Silver Sands Outlet Mall and Sacred Heart Hospital to the west and Seaside to the East on 30-A.